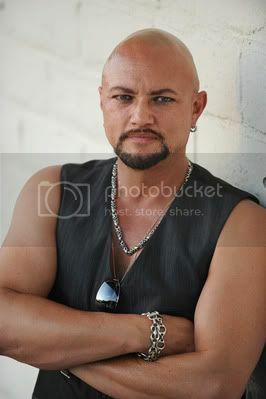 Since parting ways back in June, vocalist Geoff Tate has been referred to as the former singer of QUEENSRŸCHE while his ex-bandmates have forged on with the name and CRIMSON GLORY frontman Todd La Torre in Tate's place. Amidst an ongoing court case over rights to the band name and a solo album due this fall, Tate has chosen to move ahead with a new Queensrÿche as well. He announced the new band line-up earlier today (September 2nd), revealing that Rudy Sarzo (ANIMETAL USA, ex-WHITESNAKE), Bobby Blotzer (RATT), Glen Drover (ex-MEGADETH), Kelly Gray (ex-Queensrÿche) and Randy Gane are now on board. I'm very thrilled to let you all know that I have joined forces with Geoff Tate for his version of Queensrÿche! This is a band that I grew up with and have always respected a great deal. Will also be great to play with the other musicians involved that I have never played with before. Really looking forward to to this! See you on tour soon…"
"I’m sure the last few months have been very frustrating for you. I know they have been for me. There are so many questions and so few answers. The challenge, when you’re in a creative environment, is keeping things fresh and invigorating, and after working with the same people for thirty years, it gets very difficult. You walk into the room, and everybody knows what everyone is going to do. There’s no spark, the chemistry is very tried and true and you just keep coming up with the same ways of expressing yourself. Joining me are: Rudy Sarzo, Bobby Blotzer, Glen Drover, Kelly Gray, and Randy Gane. 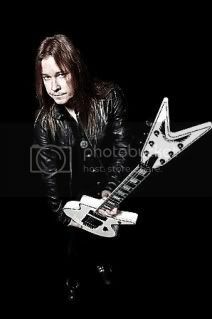 Together we shall embark on a new musical journey that will be a greater extension of where Queensrÿche has ever been. I look forward to this new life and I hope to see you on tour as all of us come together and begin this new era." Check out www.Queensryche.com to learn more. It includes a full band bio showcasing each of the new members.